What is Polycystic Ovarian Syndrome? PCOS (Polycystic Ovarian Syndrome) is the most common endocrine disorder among women. It is estimated that five to ten precent of women in their reproductive age are suffering from this disease. Many of these women will go undiagnosed. Which is why raising awareness about PCOS is so important. Irregular Periods or the complete absence of menstrual cycle. The root cause of PCOS is still not entirely clear.It is likely that a complex set of factors will create this condition in an individual. Medical research has identified several elements that seem to contribute to PCOS. There is evidence to suggest that PCOS is a Genetic Disease. If you have a mother or sister with PCOS you are much more likely to have it yourself. To date scientist have yet to identify the exact gene associated with PCOS. It is believed that one can inherit this PCOS gene from their mother or father. If a daughter inherits the gene she will have PCOS to some extent. Having excess insulin can disrupt the delicate balance of hormones in the body and boost androgen production by your ovaries. Such an imbalance could cause PCOS. Many women with PCOS are also insulin resistant. This means that their ability to use insulin is in some way impaired, and their pancreas will have to secrete more insulin to make blood glucose available to cells. Research has shown that there is a possible correlation between low grade inflammation and PCOS. When some people eat certain foods their bodies will have an inflammatory response. When this happens, white blood cells produce substances that can lead to insulin resistance and cholesterol accumulation in blood vessels (atherosclerosis). Medical researchers are looking into the possibility that PCOS is a birth defect. Studies suggest that PCOS may be connected to low birth weight, having a mother who was obese while pregnant, or an issue with fetal development. Their are many complications associated with having PCOS. In fact having PCOS is a risk factor of other diseases. Fortunately, many of these complications can be avoided through proper medical treatment. 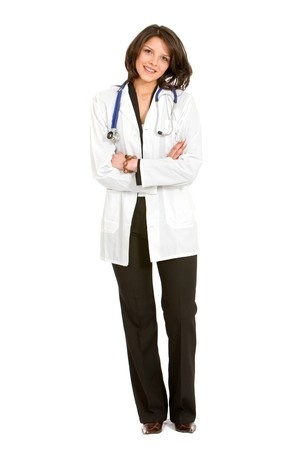 If you have PCOS or believe you might is is critical that you seek the assistance of a qualified medical professional. While the list of complications above can be frightening, many of these risk factors can be reduced through a healthy lifestyle and in some cases prescription medication. Most women with PCOS can live healthy, happy lives with minimal complications simply by modifying their diet and exercising.